What’s expected in attending a PA appraisal live course? Punctuality is important. Learners should be on time and attend all class sessions of their courses. Minimum attendance of at least 80 percent of any state-approved course (usually 7, 15 or 30 hours in total length) is required to attain a satisfactory attendance record. Learners with less than 80-percent attendance will not pass. Limited opportunities may be available to make up for missed classes. Excused absences are permitted in emergency situations only as determined by Polley Associates. 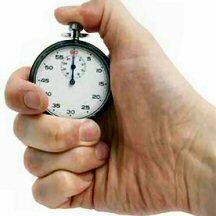 Timed record-keeping begins and ends when the instructor designates a class starts and ends. There are reasonable limitations intended to benefit you and minimize distractions. Using a recording device of any kind in classroom sessions is prohibited. Battery-powered, hand-held, noiseless calculators without an alphabetic key pad ARE permitted. All cell phones, smart phones, pads, tablets or other mobile devices (even if they have noiseless calculator capabilities) must be turned OFF during class. All pagers, too. Smoking is NOT permitted in any Polley Associates’ facility. Because of insurance limitations, children under age 18 are NOT permitted in Polley Associates’ classrooms. Polley Associates does NOT permit students to audit or monitor classes. Got questions? Go ahead, ask! Instructors encourage questions from students during class sessions. Questions should be brief and pertinent to the subject being discussed. Personal questions, or those of length or requiring lengthy answers, must be held for the end of class. The learning experience is a shared responsibility between the student and Polley Associates’ instructors. Students are urged to complete all reading and math assignments prior to the class sessions. Failure to complete assignments will result in a slower classroom pace, reduced learning and possibly failing course exams. Have a special need? Please let us know in advance. We intend our classrooms to be open to all. From time to time we may need to make accommodations. Please let us know if you have special classroom access needs due to a handicap or disability. What if I miss a live class? We sure hope you won’t. Each live class lesson in your courses has been specifically designed to move you forward with knowledge you need. Besides, to pass either course the state demands that you must meet specific attendance requirements. If you can’t avoid missing one or two class hours, we might be able to suggest how you could make it up elsewhere. Miss too many class hours, and you can’t be passed, no matter how well you do on the course-ending tests.